At 51.5 years old, you wouldn’t expect Alicia Carr to be an avid iOS programmer — I chuckled when she included the “half”. She’s a mother to three children and an energetic grandmother to seven grandchildren. She looks way too young to have so many grandchildren. Even as she’s busy running around taking care of everyone, in her waking hours, she’s buried in her MacBook coding away iOS apps. Alicia sparked up a conversation with me at Starbucks yesterday out of the blue. She saw my Windows PC pulled up with my MacBook right next to it. It was obvious the moment she asked me, “What do you do?” that she was up to something of her own, and it wouldn’t take much time for her to spill the beans on her current passion and idea — The Purple Pocketbook. Over the course of the next 30 minutes, Alicia shared more of her story, her aspirations, her family, and her goals of the Purple Pocketbook, and given her passions in app development, I was intrigued to learn more about the Purple Pocketbook. In 2005, Alicia lost her best friend to domestic violence. She put on a brave, stoic face telling me about how her friend was murdered in a front yard. Three gunshots. She was also a witness to her mother’s abuse, and her aunt was even on the brink of death after being stabbed multiple times by her then boyfriend. Then, there are countless friends and, yes, even daughters and other family members of hers who endured domestic abuse. To say Alicia has an intimate understanding of domestic violence and its ramifications would be an understatement, and that’s what set Alicia on her way to helping others understand and deal with domestic violence. Alicia first became a Certified Empowerment and Relationship Life Coach in 2009 to help others. However, Alicia knew to help the masses, there would be a better way… building The Purple Pocketbook would be that way – the app empowering users to recognize domestic abuse and seek help safely. 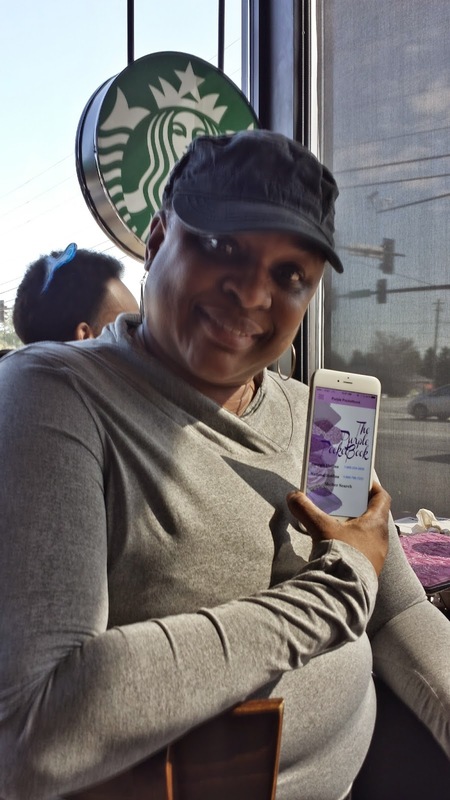 She had always wanted to build and program, and given the quality of resources available to domestic violence victims, Alicia knew she could provide a better tool vis-a-vis an app teaching users what to look out for, laws and aids available to victims, local shelters, and the like. In September 2013, Alicia started her iOS path with a 3-month online course. With the single course under her iOS belt, Alicia took on building the first version of the Purple Pocketbook in January 2014. It was all her own, and a challenge she was thrilled to undertake. She finished the app in March, but had to go through several refinements before Apple finally accepted Purple Pocketbook into its App Store on May 2, 2014. Alicia recalls this fondly and breathes deeply as if it was today. She remembered how much she wanted to just pack it all up after failed submissions, but her friends and family continually pushed her and supported her, willing her across the finish line. So today, it’s been a year since she “first finished” Purple Pocketbook. 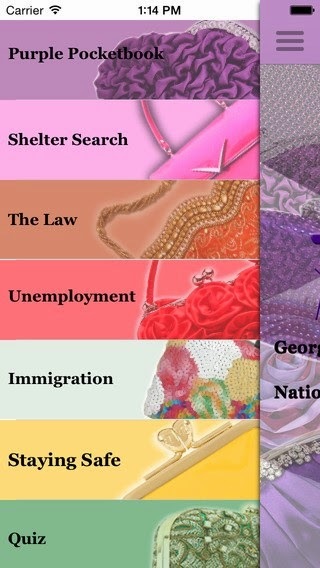 She’s focused the app on Georgia users as curating additional content including state laws and shelters requires extensive time researching. She hopes to one day go national, though. She’s got a little traction, but as most entrepreneurs will say, building an app is one thing, but the real challenge is getting users. For now, Alicia’s learning new areas she had never experienced including marketing and promoting the app — she’s continually reaching out to shelters across Georgia, reaching out to bloggers, tweeting, and the like. However, she’s still struggling with marketing. We talked about a few routes including blogging. For Alicia and what she’s trying to accomplish, blogging and driving inbound traffic is important. Tweeting and Facebook posts are fine, and should be done. However, especially in domestic abuse, victims are not going to Twitter or Facebook for help. They’re likely going to Google for help, so adding content to her site and her app will help drive traffic and get her exposure. Additionally, we talked about the opportunities for success stories, shelters, and the like to help guest write thereby helping her overcome her self-professed FEAR of writing. As with any entrepreneurial endeavor, there’s a host of things to do to market and “sell” the app, but it’s important to focus on the key points. However, she’s on a good path, and can focus more attention on marketing and getting users. Relying on others to help promote is much like outsourcing coding. For her, it makes more sense to continue to keep things “in-house” and find ways to market. Since she’s started coding, Alicia has also been attending several startup events and is an active member of Women Who Code. Perhaps her passions helping others, coding, and teaching will be an opportunity for her in the future to teach victims of domestic violence how to code as part of a recovery tool. Alicia’s story is very inspiring as she’s working against the currents. She mentions how others constantly ask her why she’s learning how to program at a later age. She also mentions the difficulty in obtaining a full-time job in iOS development being a black woman; so instead, she takes on contract roles. For Alicia, she’s found a revitalizing formula in self-challenging and self-empowerment while striving for her greater purpose with coding and The Purple Pocketbook. Would you like to get in touch with Alicia? You can email her at purplepocketbook@gmail.com or follow her @purplpocketbook. 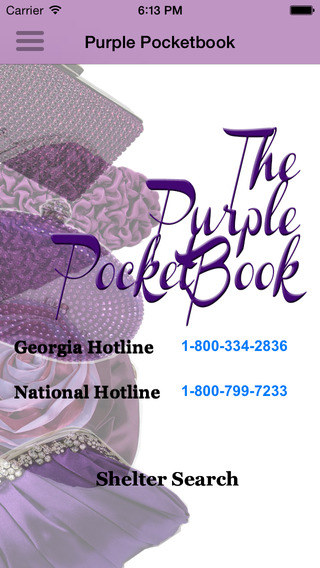 You can download The Purple Pocketbook on the Apple App Storehere or on Google’s Play Store.